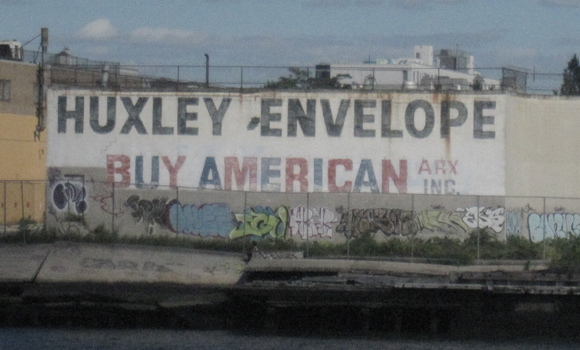 To avoid going underground on such a sunny fall day, we took the East River Ferry from Manhattan and looped our way to the Brooklyn side of the river, past the Long Island City and Greenpoint stops, down to Williamsburg, getting a few peeks at old industrial Brooklyn along the way. 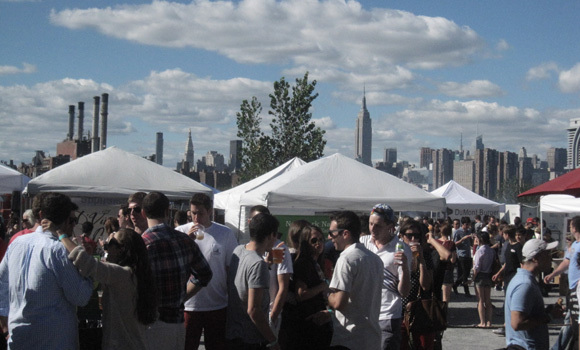 Once we landed at Smorgasburg, we were hit by irresistible smells and sizzles, but before diving in, we paused a moment to take in the stunning Manhattan backdrop to this outdoor market. Location, location, location indeed. 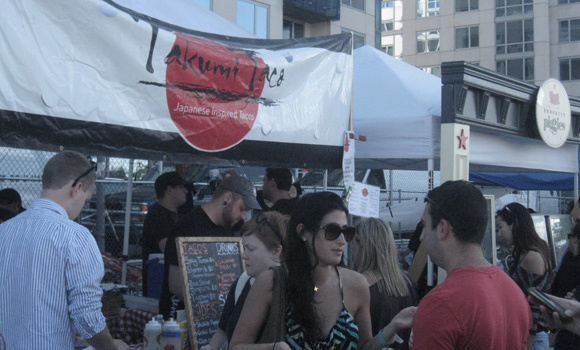 The 75+ vendors at Smorgasburg are wildly diverse—and not just from a culinary point of view. For some, the food fair, started by Brooklyn Flea last year, is a launch pad for bringing a new product to market. In the beginning, it may be a business’s sole distribution point. For a brick-and mortar establishment like Porchetta, the East Village shop where Chef Sara Jenkins sells her “drop-dead delicious” Italian street-food sandwich, it’s an additional sales outlet and marketing vehicle. For others, it’s one of several distribution points: You’ll find Kelso of Brooklyn beers at Smorgasbar (a roped- off drinks area introduced in the middle of the food fair this year) as well as at bars around NYC (especially Brooklyn). Grady’s Cold Brew coffee, available at Smorgasburg, is also sold online and at Whole Foods in NYC and beyond. How does this distribution puzzle fit together? Finding the right channels—and getting access to them—is always a challenge for small food producers. We look forward to talking more to Brooklyn artisans about what works, what doesn’t and hearing about lessons learned they’d like to share. 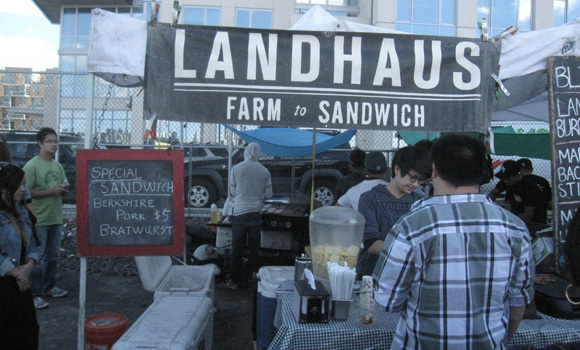 Oh, and the funny thing: After circling the market and winding back and forth, all five of us landed up on line at Landhaus. 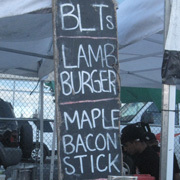 Maple bacon on a stick—how could my Canadian heart resist?—and a juicy lamb burger, perfectly cooked. 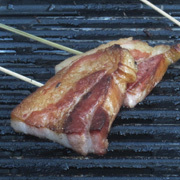 It was BLTs for the boys (maple bacon slab included). Plus Kelso’s Belgian Pale Ale and Sixpoint’s Crisp Lager, capped off by BiteMe mini cheesecakes and Alchemy’s Dark Chocolate vegan frozen dessert. Even after the November closing dates, Brooklyn Flea assures us that 10 hot/prepared food vendors and about 7 to 8 packaged food vendors will be at Skylight One Hanson, Brooklyn Flea’s winter home. They’ll all be on the lower level of the market toward the back. Basia Hellwig curates the Food/Drink category for Brooklyn Artisan.